Size of this PNG preview of this SVG file: 800 × 600 pikseļi. Citi izmēri: 320 × 240 pikseļi | 640 × 480 pikseļi | 1 024 × 768 pikseļi | 1 280 × 960 pikseļi. Català: Bandera de l'Organització del Tractat de l'Atlàntic Nord (OTAN). Čeština: Vlajka Severoatlantické aliance (NATO). 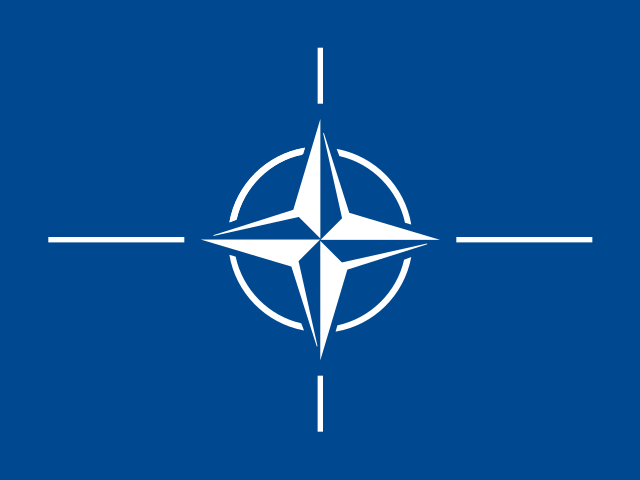 Deutsch: Flagge der Organisation des Nordatlantikvertrags/ North Atlantic Treaty Organization (NATO). 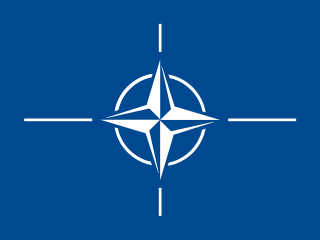 English: The flag of the North Atlantic Treaty Organization (NATO). Color is PMS 280. Español: Bandera de la Organización del Tratado del Atlántico Norte (OTAN). Français : Drapeau de l'Organisation du traité de l'Atlantique Nord (OTAN). Italiano: Bandiera dell'Organizzazione del Trattato dell'Atlantico del Nord (NATO). Nederlands: Vlag van de Noord-Atlantische Verdragsorganisatie (NAVO). Polski: Flaga Paktu Północnoatlantyckiego (NATO). Русский: Флаг Организации Североатлантическового договора (НАТО). Українська: Прапор Організації Північноатлантичного договору (НАТО). Found by 475847394d347339 in websites noted in the source section. Code cleaned up by Artem Karimov. tagadējais 2015. gada 18. decembris, plkst. 18.39 1 024 × 768 (3 KB) Rob984 Corrected colour (Pantone 280). 2015. gada 1. decembris, plkst. 02.38 1 024 × 768 (2 KB) 475847394d347339 There are inaccuracies at the corners of the star. 2015. gada 30. novembris, plkst. 20.36 800 × 600 (1 KB) Sandstein Reverted to version as of 14:22, 21 June 2013 (UTC). No explanation as to which inaccuracy is meant. 2015. gada 30. novembris, plkst. 03.45 1 024 × 768 (2 KB) 475847394d347339 Resolves some inaccuracies. 2010. gada 4. decembris, plkst. 18.13 Nav sīktēla 0 × 0 (1 KB) Sandstein Use the version previously at en:File:Flag of NATO.svg vectorized by en:User:Mysid from http://www.nato.int/multi/natologo.htm. This version conforms more closely to the official flag on that NATO website.